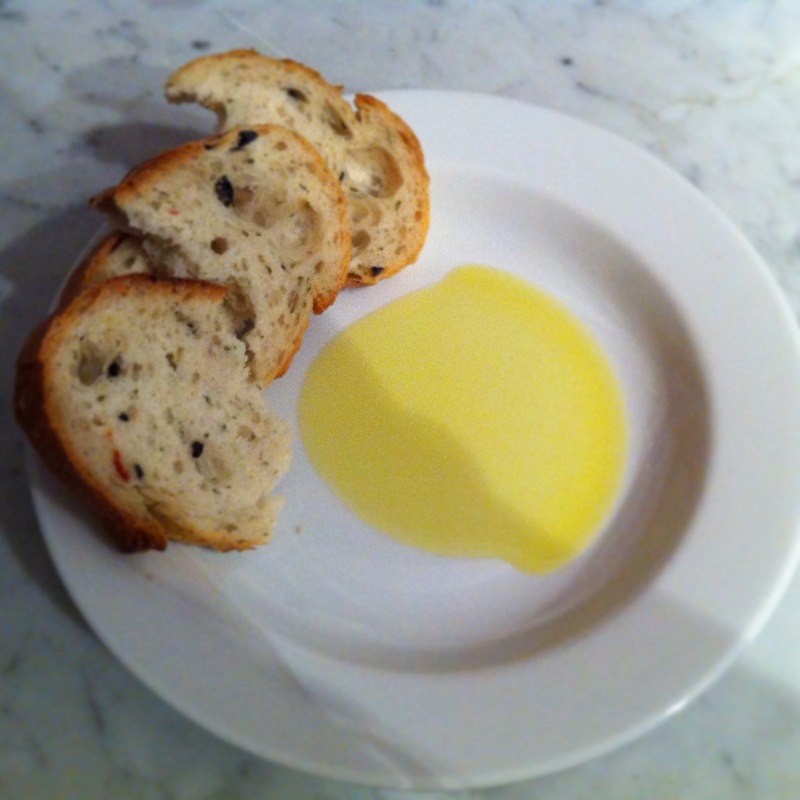 In recent years, olive oil and balsamic vinegar have reached a status once reserved merely for wine. Appraised for their aroma, complexity of flavour and bouquet, these oil and vinegars are often infused with herbs, espresso, lemon, chocolate, peppers and even pomegranate. Everyday cooks have become connoisseurs and with that, demand for more sophisticated products has emerged. 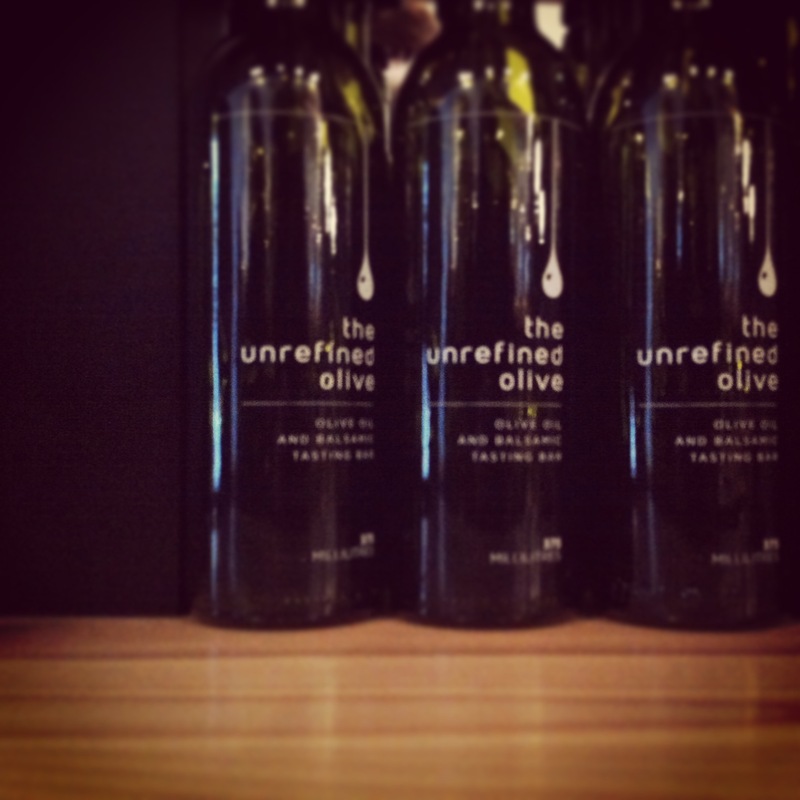 Enter The Unrefined Olive, Ottawa’s first olive oil and balsamic vinegar tasting bar. 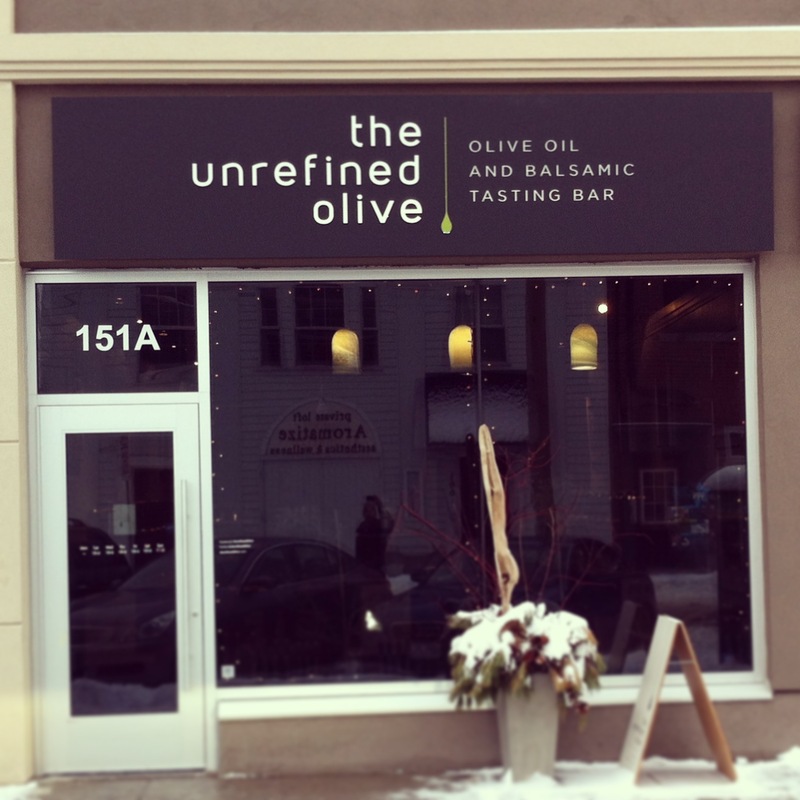 Located in the heart of the Glebe, on the corner of Bank Street and Second Avenue, The Unrefined Olive carries olive oils from around the globe and currently feature ones from California, Chile, Australia, and Tunisia. Knowledgeable staff take you on a tasting tour, itemizing the different ingredients, characteristics and flavour combinations. 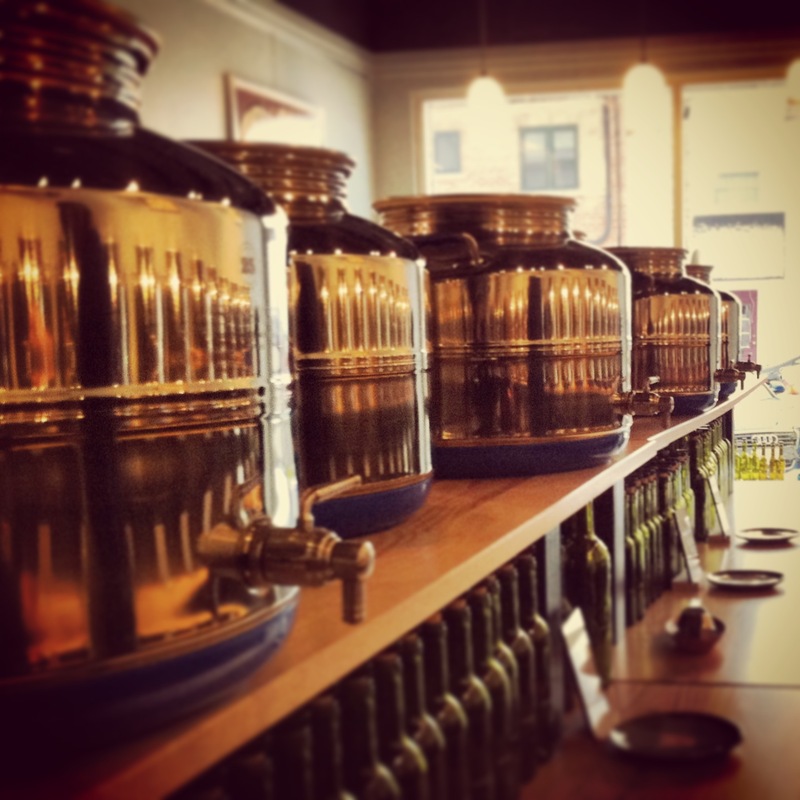 You are lured in with a shot and as you swirl, smell, sip and swallow through the different oils and vinegars. Eventually your taste buds reach sensory overload, but the overall experience is quite pleasant. It’s not often that you get to taste-test something before you buy it. 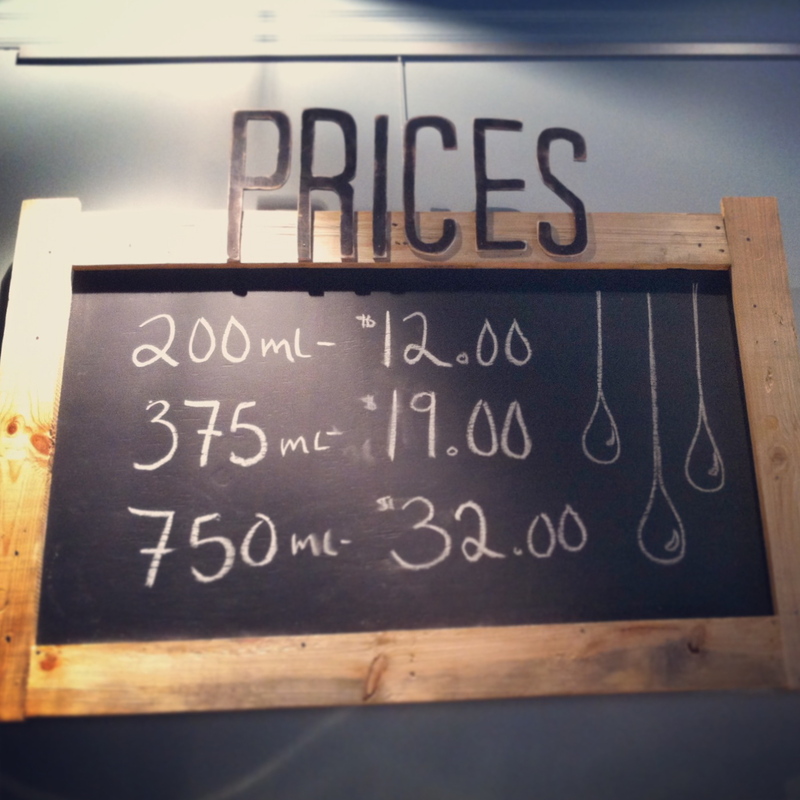 There are three sizes: 200 mL for $12, 375 mL for $19 and 750 mL at $32. Production dates are clearly labelled so you know how old it is. For $16, you can get a sample gift bag, containing 2 oils and 2 vinegars. A pretty good gift for the host of your next party. 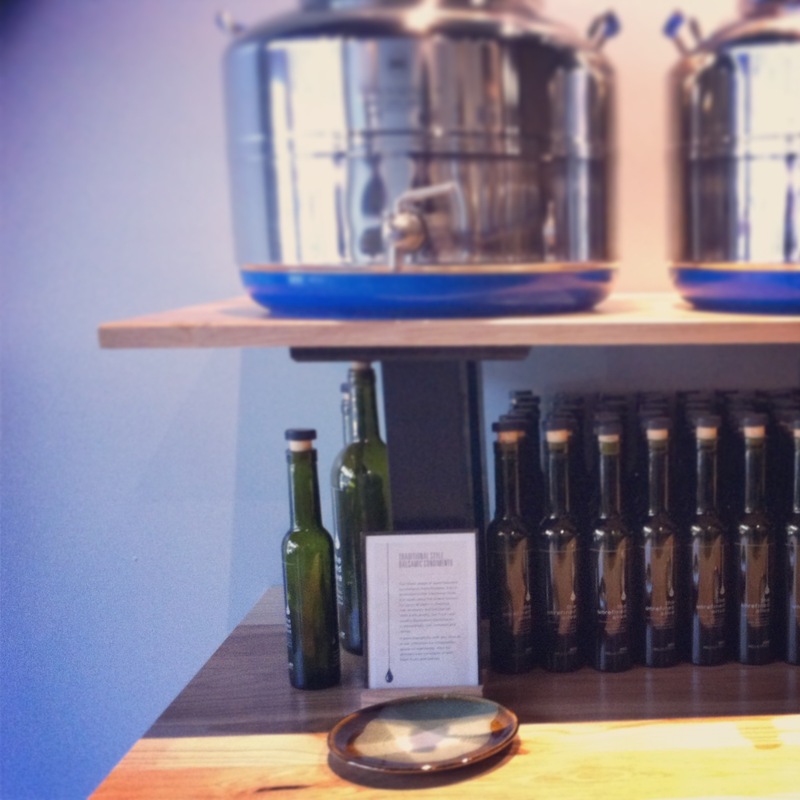 Specialty oils are also available. Prices differ. 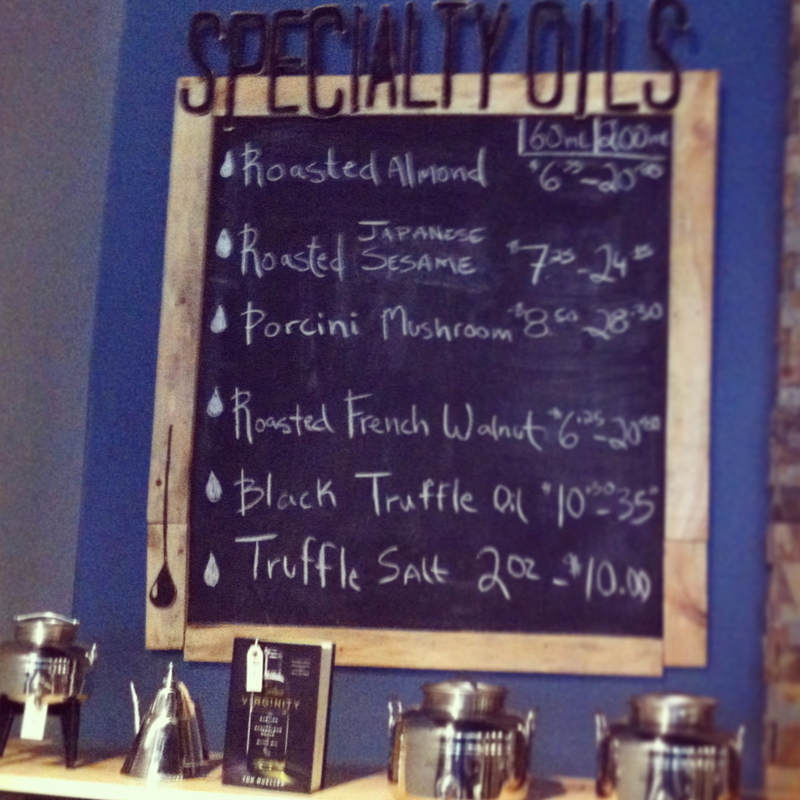 The Fig Balsamic and Mushroom Sage Olive Oil are two of my personal favourites. Pair them for bread dipping, on salads and marinades. 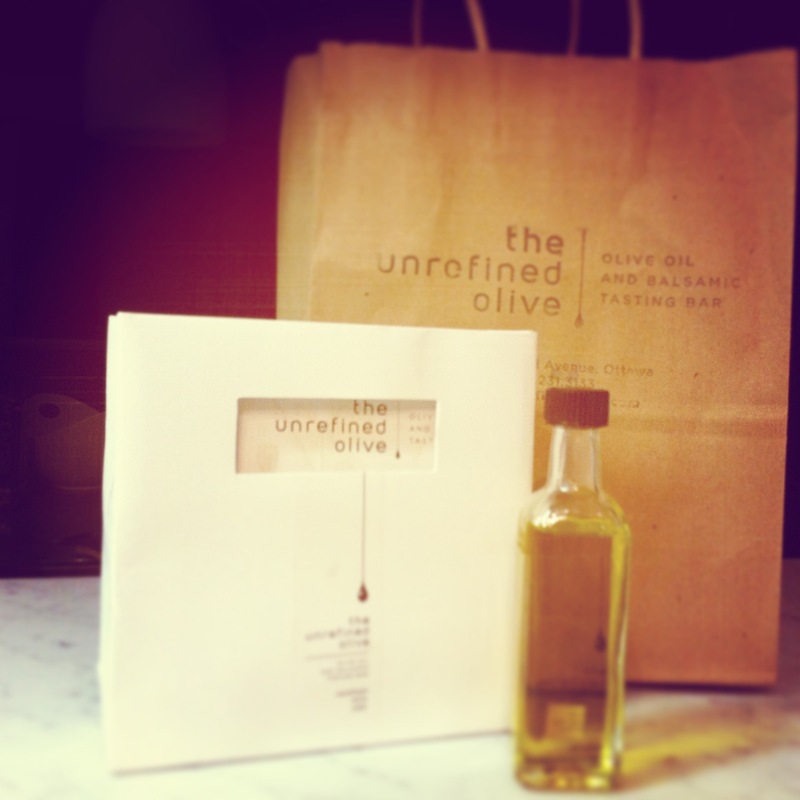 Check out The Unrefined Olive’s website for hours of operations and for store directions. Go to their Facebook page for recipes or pairing suggestions.